MusicMasters On-line - Accent on Achievement: Bk 2 Combined Perc. 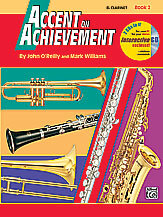 Home / Print Music / Band Method Books / Accent on Achievement / Accent on Achievement: Bk 2 Combined Perc. Accent on Achievement: Bk 2 Combined Perc.